When we posted the Top 10 Organ Rock Songs, our readers swiftly let us know that a mere 10 tunes could not adequately pay tribute to the greatness of the rock and roll organ. There were cries of “No Rick Wakeman? Gregg Allman? Rick Wright?” as well as “More Jon Lord and John Paul Jones!” We couldn’t agree more. 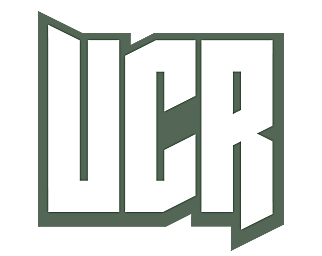 So, we’ve taken your suggestions from our Facebook page and the UCR site, and crafted this list of 10 reader picks – each of them every bit as deserving as the songs on the first list. If you still don’t see your favorite song… well, you only have yourself to blame this time. Our readers tied us to the whipping post for not factoring in Gregg Allman. So we therefore begin our readers' choice list of organ songs with one of rock’s ultimate survivors. ‘Dreams’ is an excellent introduction to his soulful playing whether you listen to the version from the Allman Brothers Band's debut LP or in concert, where the song justly earned its place as an epic standard for the band. Pink Floyd organ great Rick Wright could be represented by any number of the prog titans’ classics. His wizardry with the Hammond organ is in full effect on this ‘Dark Side’ cut, which just sort of wafts through the air on the strength of Wright’s stuff. The keyboardist wrote the music for ‘Us and Them’ for the movie ‘Zabriskie Point’ in 1969, but it was rejected by director Michelangelo Antonioni and remained in mothballs until Wright and Roger Waters resurrected it a few years later. How could we have left out Sugarloaf’s biggest hit? Frontman Jerry Corbetta co-wrote it, sings on it and plays some great psychedelic organ on the nearly seven-minute track. The single is often trimmed for radio play, which is too bad, because that means Corbetta’s slippery solo in the middle and mind-altering turn after the last verse get cut. A carved Sugarloaf is not the best thing since sliced bread. There were plenty of readers looking for Rod Argent to be represented, whether it was by one of his ’60s pop nuggets with the Zombies or this lumbering single with his eponymous ’70s band. Rod, who co-wrote ‘Hold Your Head Up,’ plays some monster organ on his band’s only big hit and enduring classic rock radio staple. Although, some of us still can’t hear the song without wanting to do some online investing. Pete Townshend might have learned to play guitar by copying Steve Cropper’s licks on this brilliant instrumental, but ‘Green Onions’ begins and ends with the finger-licking-good keyboard playing of Booker T. Jones. Cropper’s blasts of fire are the perfect contrast to Jones’s midnight cool organ, which chugs playfully throughout the tune. Three minutes of stinky, funky perfection that should have been on the first list. Good call, readers. On the original list (which included Deep Purple’s ‘Hush’), we declared Jon Lord the “lord of the Hammond.” The readers agreed, demanding more great tracks from Jon and the band. More than any other Purple song, the readers said they loved and needed this revved-up classic. ‘Highway Star’ is a great choice, given Lord’s diesel-burning organ and Johann Sebastian Bach-inspired solo after the second verse. Readers were vocal in support of both the album cut and the live versions of ‘Like a Rolling Stone.’ Either way, you’ve got a great organ part and fabulous players (Al Kooper on the studio edition and the Band’s Garth Hudson on concert recordings from ’66 and '74), but we're going with the original. The amazing fact is the 21-year-old Kooper wasn’t much of a keyboardist at the time, bluffed his way into the session and made up the part on the spot. Bob Dylan immediately recognized something interesting was happening and declared, “Turn the organ up!” Amen. The readers could not stand by and watch as Rick Wakeman went unrepresented on the original list of the Top 10 Organ Songs. ‘Roundabout’ turned out to be the most popular choice – a solid pick, considering that it sort of announced his presence as Yes’ new keyboard man (it was the lead track and single from ‘Fragile,’ his first album with the prog-rockers). Wakeman’s work is positively scintillating throughout, from zooming interludes to atmospheric passages played against other musicians. Does this song belong here? Well, you know the band’s name. Although this was one of the most-noticed omissions by the readers, there was also a bit of debate as to whether ‘No Quarter’ belonged on the list at all. As some readers noted, John Paul Jones’s rippling keyboard part was achieved by playing an electric piano through a synthesizer. Feel free to offer dissenters no quarter, but the murky greatness of this Led Zeppelin epic is enough for most of us to say that an electric piano is close enough to qualify. Far and away, the most common response to “What’s missing from this list of the Top 10 Organ Songs?” was a refrain of Iron Butterfly's ‘In-A-Gadda-Da-Vida’! There’s no explanation, other than maybe we just lost our minds during the three-minute drum solo. Doug Ingle’s church organ not only heralds the 17-minute-plus track, it’s key to the epic scope of ‘In-A-Gadda-Da-Vida’ – or as Reverend Lovejoy calls it, ‘In the Garden of Eden’ by I. Ron Butterfly.